The weather outside HAS indeed been frightful these past couple of weekends, but Auburn First UMC remains as warm and inviting as ever! And we are now in the midst of the Advent season, as we await the birth of our Lord and Savior Jesus Christ. As you may know, Advent marks the beginning of a new church year. 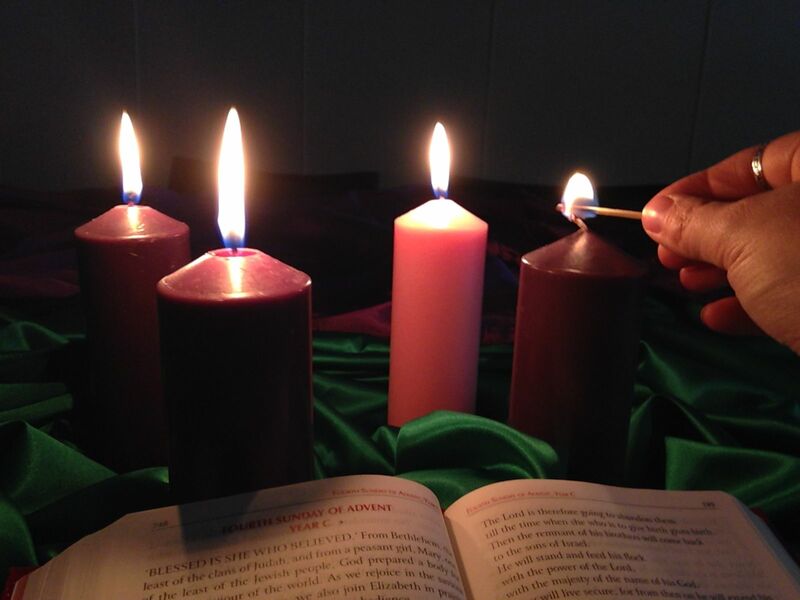 That’s why last Sunday (December 2nd, the first Sunday of Advent) we began our worship service with a brief “year in review” presentation…an overview of all the ministry that the disciples at Auburn FUMC have been engaged in over the last year. We called this presentation “Auburn By The Numbers”–read on to see how we’ve been busy transforming the world for Jesus Christ in 2018. That’s how much we raised on Easter Sunday to benefit local missions like Project Response and the Giving Hope Cancer Fund of Nemaha County. That’s the number of UMCOR health kits we purchased and packed for Annual Conference in June. That’s the number of youth we sent on a mission trip to Heifer Ranch in Arkansas to learn about global poverty. That’s how much this congregation raised for UMCOR during Iris’ baby shower! That’s the number of young people in our congregation who either attended or worked at Camp Fontanelle (which is our local United Methodist summer camp) in the last year. That’s the number of prayer walks we did with Auburn Presbyterian this summer, as we covered our whole community in prayer. That’s the number of backpacks full of school supplies that we, in collaboration with the Presbyterians, donated to Auburn Middle School in August. That’s the number of Nemaha County preschoolers who attended Preschool Pumpkin Day at Lord’s Acre. That’s the number of college students we’re sending care packages to this year. That’s how much money was raised for UMW at this year’s soup supper. 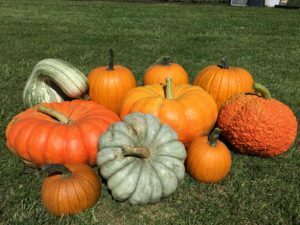 That’s how much was raised for local and global hunger projects through pumpkin sales this fall. That’s the number of days each year where the people of Auburn First United Methodist Church share God’s love with the town, the county, and the world. It’s hard to believe that summer is almost over, isn’t it? Our oldest daughter starts preschool in just over a week (how did that happen?!? ), and we’re just about a month away from the season of harvest, apples, and pumpkin spice everything! We’ve had a great summer here at Auburn First United Methodist Church: we’ve done some fabulous mission projects (we packed a few dozen hygiene kits for UMCOR, and we partnered with Auburn Presbyterian Church to fill 30 backpacks full of school supplies for low-income students at Auburn Middle School), we had a beautiful worship service/picnic in the park, and we even had a pool party! And once September arrives, we’ll have lots of activities going on at the church, including Chancel Choir and Sunday School/Children’s Church and UMW! There’s even talk of starting another lunch hour Bible study…stay tuned for more information on that! 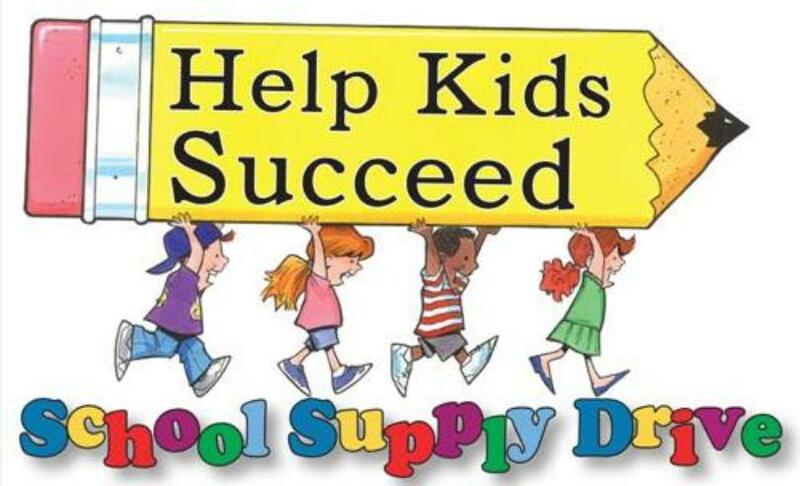 It’s the end of June, and we still have several weeks of summer fun left–but believe it or not, it’s already time to start thinking about our annual school supply drive! For the fourth year in a row, we will be collecting supplies for low-income families in our community, so that every child can head back to school with a full backpack and get their year of learning off to a great start! And this year’s school supply drive is bigger and better than ever! We are once again collecting supplies for Auburn Middle School, and this year we’re partnering with our sister congregation (Auburn Presbyterian) to collect 30 sets of supplies! Each congregation will provide 15 full backpacks, and we will bless the bags and enjoy some fellowship time together at a joint worship service in August! JULY 22nd: Last day to bring supplies to church! JULY 29th: Filling the backpacks together in worship! AUGUST 5th: “Blessing of the Backpacks” with the Presbyterians, followed by a grill-out in the park! AUGUST 8th: Celebratory UMC/Presbyterian pool party at Auburn Municipal Pool! Help us make this the best school supply drive yet, and thank you so much for shining the light of God’s love for families here in Auburn! At the end of May, our youth group took a trip to Heifer Ranch in Perryville, Arkansas. 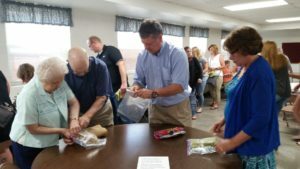 While they were there, they completed the “Global Challenge” poverty simulation, and experienced first-hand the struggles that many people around the world face in developing countries. Our kids built fires, slept on dirt floors, learned the true meaning of scarcity and hunger, and they came home fired up to make a difference in the world! 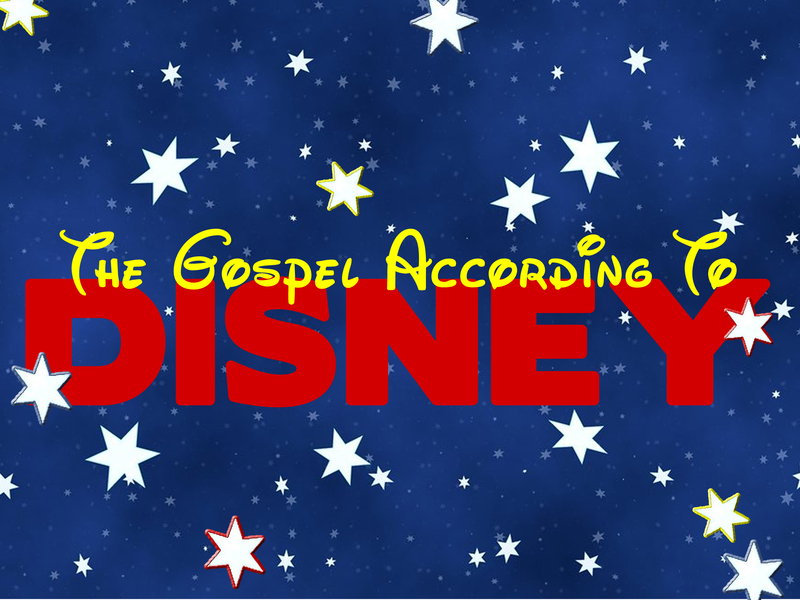 A new sermon series is about to begin! 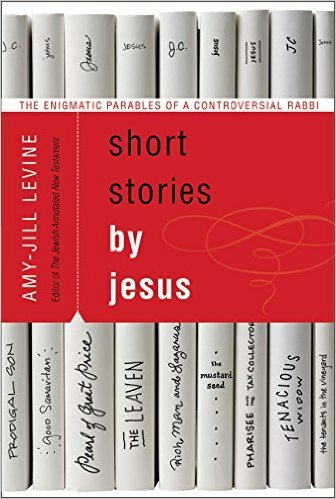 In our new “Storybook Bible” worship series, we’ll dive into some of your favorite childhood Bible stories, and we’ll discover the timeless truths that they contain. Join us as we explore the wisdom hidden in our Sunday School favorites—this journey will be a joy for both children and children at heart! Good morning, friends of Auburn FUMC! It’s been a while since I’ve been able to share an Emily’s Musings update—I was out of the office for 10 weeks of maternity leave, and as soon as I got back to work it was time for Holy Week and Easter! I’m so thankful to Nyla Witzel for leading worship during my leave, and it’s been a joy to be back to doing ministry with this wonderful congregation. Holy Week was beautiful, as always: we had an energetic “palm parade” on Palm Sunday, we joined our Presbyterian friends for a quiet and contemplative Maundy Thursday service, we hosted a reflective Good Friday worship, and then we had a noisy and joyous Easter Sunday! 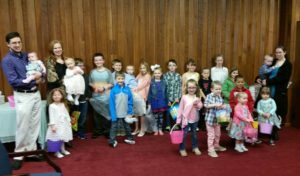 Even though Mother Nature pulled a mean April Fool’s joke by dumping several inches of snow on us, we didn’t let that dampen our spirits…we held our traditional children’s Easter Egg hunt in the fellowship hall, and we celebrated the miracle of the empty tomb in our warm, flower-filled sanctuary! Getting ready for the egg hunt! See you in worship! Be blessed! We had over 35 children from our community attend Vacation Bible School, and they kicked off our annual school supply drive—which, by the end of the summer, provided full sets of school supplies for 21 low-income students at Auburn Middle School. 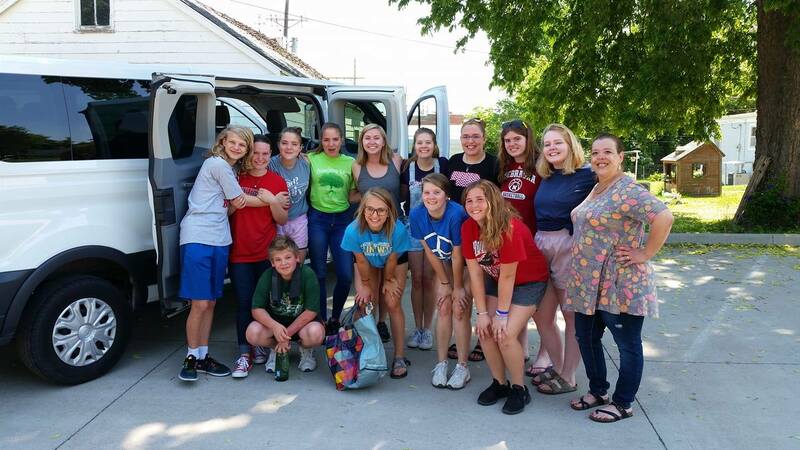 Seven children and youth from our congregation attended United Methodist summer camps this year; more than half of them were assisted by our church’s camping scholarship fund. We purchased and filled 20 buckets of flood relief supplies for UMCOR’s Hurricane Harvey disaster response. We hosted yet another memorable “Preschool Pumpkin Day” at Lord’s Acre, and this year’s pumpkin sales brought in over $3,000 for local hunger projects! Our youth group raised a whopping $5,700 for Heifer International—and because we hit our fundraising goal a month early, we were able to take advantage of Heifer’s “Cyber Monday Match” program. This means that our gift’s impact was doubled, and that our kids actually contributed $11,400 to fight global poverty! This is just a tiny sampling of the ministry that has happened at Auburn FUMC this year. We have experienced meaningful worship and small group ministry, we have grown in faith and in relationships, and our members have shown Christ’s love to countless people in daily interactions with friends, family, and loved ones. We have been blessed to be a blessing, and I am excited to see what God has in store for this congregation as we enter a brand-new year. Have a blessed Advent—let’s continue to make 2017 a fantastic year of faith and service! It’s been a very busy fall at Auburn First UMC! A new year of Sunday School has begun, the youth room is undergoing some big renovations (thanks to a generous grant from the Great Plains Annual Conference), and God is doing world-changing ministry through this congregation. Here’s a look at what we’ve been doing in the last several weeks, and a sneak preview of what’s coming next in worship! We also had several weekends in late September/early October where the pumpkin patch was open for the whole community. People came from all over to pick pumpkins, and they were exceedingly generous with their donations: we raised over $3,000 for local hunger projects. Thank you so much to all of the volunteers who helped with pumpkin sales this year, and thank you to everyone who came out for some pumpkin-picking fun! The youth group also led our worship service on Sunday, October 15th. Using resources from Bread for the World, they designed and led the entire service–including children’s time, Scripture lessons, sermons, and prayer time. They did a fantastic job; we’ve been blessed with some incredible young leaders in our congregation! And as part of our final fundraising push, the youth distributed specially-decorated giving envelopes on Youth Sunday, and they are asking for donations between $1 and $50. If you took one of the envelopes, please bring it back to church either this Sunday or next Sunday (the 22nd or 29th.) Thank you so much for helping the youth fight hunger, and thank you for being an example of God’s generosity and abundance for our young people. 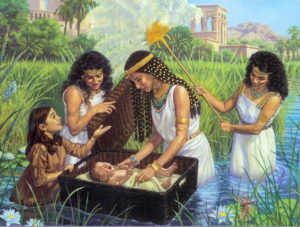 Finally, we are about to begin a new sermon series based on the life of Moses. From October 22-November 19, we will be taking a look at various segments of the Moses saga–his birth, his encounter with the burning bush, the parting of the Red Sea, and the journey through the wilderness–and seeking some wisdom for our lives as 21st-century Christians. This series will also tie in with our 2017 stewardship campaign, as we prepare to recommit ourselves to extravagant generosity in the new year. Join us as we take a fresh look at an old Sunday School classic, and as we search out how God is calling us to participate in the life of the church next year! Continue to be blessed by the beauty of the changing seasons this fall, and we’ll see you in church! 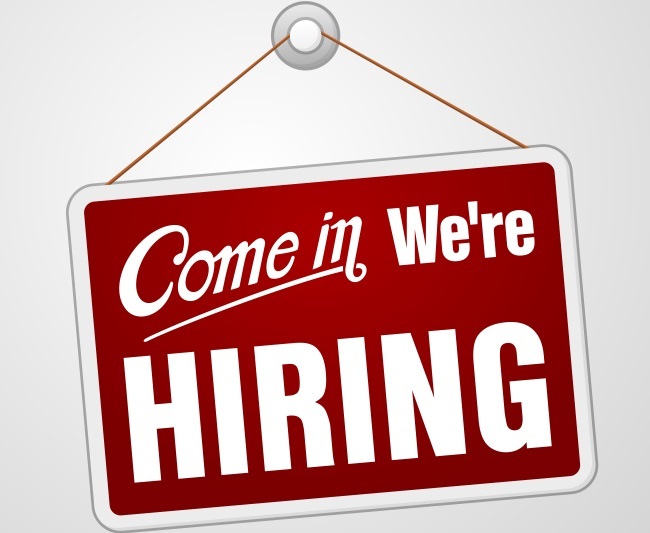 Auburn First United Methodist Church is looking for a part-time administrative assistant. This position requires excellent communication skills, computer proficiency (Microsoft Word and Excel are used frequently), and the ability to perform a variety of general office tasks. This position is 20 hours/week, and starting salary is $11/hour. Benefits include several paid holidays, paid vacation/sick leave, and a friendly working environment. Interested applicants may submit a resume by email to [email protected], or by mail/in person to 1205 L Street. Resumes must be received by Wednesday, October 11th to be considered! We brought in five fabulous interns from the Great Plains Annual Conference, and they helped us host a great week of Vacation Bible School for 35+ children in our community. 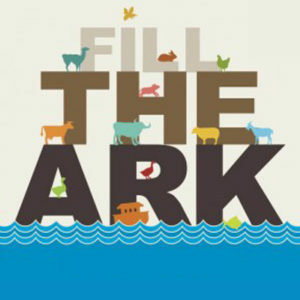 The UMC/Presbyterian youth group hosted two fundraisers for their Heifer International “Ark”; they have raised almost $3,500 so far this year! We’ve enjoyed hearing from local painters, musicians, dancers, and other artists as part of our “Beautiful Things” sermon series. What a joy to worship God by celebrating the variety of artistic gifts in our community! We had our biggest school supply drive yet! We worked with APS administration, and our congregation provided 21 full sets of school supplies to 6th-8th grade students in need (plus, we provided pocket folders for the entire 6th grade class!) 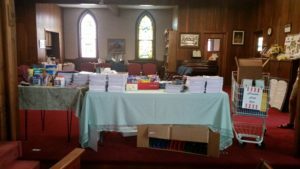 I am still blown away by this outpouring of generosity from the people of Auburn FUMC, and I’m thrilled that our congregation is able to support our local schools in this way! On October 1st, a few of our youth will be taking the United Methodist membership vows and becoming full adult members of the congregation. In preparation for Confirmation Sunday, we will spend the month of September looking at the five promises that we all make when we join the UMC—to serve God with our prayers, presence, gifts, service, and witness. Join us in September as we explore what it means to be an active United Methodist, and as we learn how to serve God more fully! Sunday School Kickoff is on Sunday, September 10th. There will be four Sunday School classes this year—an adult class, a youth class, and an elementary class will begin meeting at 9:00, and a toddler/preschool/kindergarten class will meet after Young Disciple’s Time (during the second half of the church service.) Contact Sarah Hanika for more information. Choir begins rehearsing again on Wednesday, September 6th at 6:30 pm. All adults and all youth aged 6th grade and up are welcome to participate—no auditions needed! Contact the church office or choir director Carol Ehmke for more information. Our youth have stayed active all summer, and now that school is back in session, we are back to our regular weekly meeting schedule. We’ve got lots of great meetings planned—game nights with the residents at Long’s Creek, movie nights, Bible study nights, game nights, etc. All youth between 6th-12th grade are welcome to join us! (And we always have snacks!) Contact Pastor Emily or Kim Beger for more information. 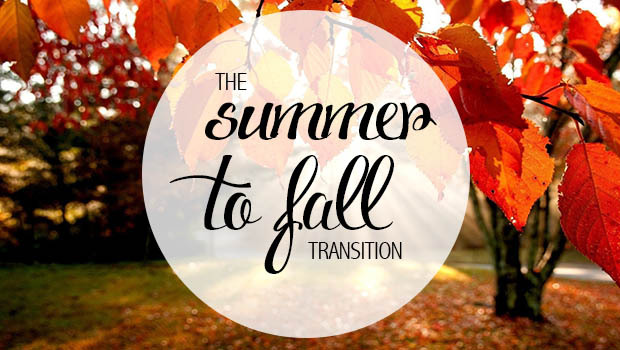 Thanks for a great summer, church—here’s to a fantastic autumn! Anyone who has ever gone shopping for school supplies knows that the cost of all those notebooks and calculators and glue-sticks can add up pretty quickly…especially when you’re buying supplies for multiple children. For many families in our county, the annual school supply bill presents a significant financial hardship. Fortunately, there are a number of generous organizations and individuals in our community who work together to ensure that all our students have the supplies they need to succeed–and this year, I am pleased to report that Auburn FUMC played a big role in that effort! This is the third time since I arrived in Auburn that our church has hosted a school supply drive, but this year the need AND the response were bigger than ever! I worked with the wonderful Nancy Fuller, and she and the middle school guidance counselors were able to identify seven children per grade who would need assistance this year. 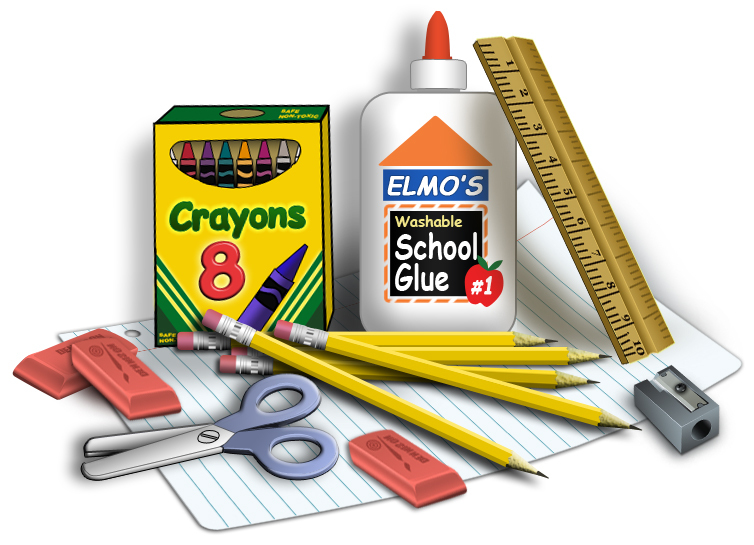 For those of you doing the math at home, that means that AMS needed at least 21 full sets of school supplies! The 21 backpacks are now filled up with your donations, and they will be distributed to students later this week. 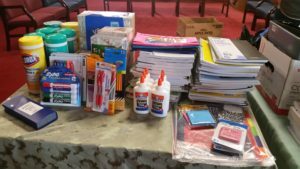 I am so humbled by the response we got to this school supply drive, and I’m so pleased with our congregation’s commitment to serving our neighbors. The United Methodist Book of Discipline affirms that “all children have the right to quality education”, and as a denomination we support “the development of school systems and innovative methods of education designed to assist every child toward complete fulfillment as an individual person of worth.” This school supply drive was a way for our church to put those words into action, and it has given us an opportunity to be the hands and feet of Christ in our community. Thank you so much for this display of love for our children! 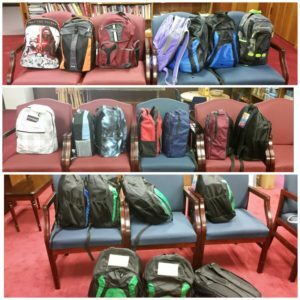 The 21 fully loaded backpacks–seven for each grade at Auburn Middle School! Two tables and a shopping cart, all overflowing with donations! A close-up of some of the supplies!